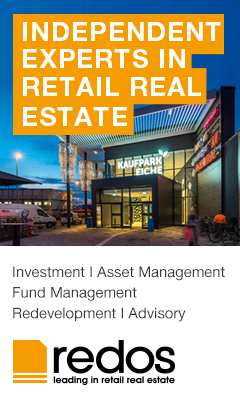 In addition to the replacement of a bank consortium, the refurbishment of the retail space is to be co-financed. The Potsdamer Platz quarter in Berlin was built in the 1990s according to plans developed by famous architects such as Renzo Piano, Hans Kollhoff, and Sir Richard Rogers. Since December 2015, Brookfield Properties has managed the site, which consists of 17 buildings, ten streets, and two squares. The total leasable area is approximately 270,000 sq m. Brookfield Properties has achieved an occupancy rate of over 90 percent for the entire quarter since autumn 2018 thanks to its global placemaking strategy, which pertains to mixed-use urban quarters. Plans are currently underway for a comprehensive refurbishment of the retail space at Potsdamer Platz Shopping Arkaden. Construction is scheduled to commence at the beginning of 2020.